Thailand has taken a big step in protecting transgender people from discrimination. Earlier this month, Thailand’s Gender Equality Act came into effect, signaling an inclusive future for the country’s legal treatment of lesbian, gay, bisexual and transgender (LGBT) people. It is the first national legislation in Southeast Asia to specifically protect against discrimination on the grounds of gender expression. UNITED NATIONS — The U.S. government says it will begin using the term “sexual rights” in discussions of human rights and global development. The statement at a U.N. meeting this week comes after years of lobbying from groups who have argued that the U.S. should show global leadership on the rights of people of all gender identities and sexual orientations. “On one level, it’s symbolic. It also sends a signal to the global community that sexual and reproductive health and rights are a part of the global development agenda,” Serra Sippel, the center’s president, told The Associated Press. She said it follows “huge strides” made under the Obama administration on LGBT issues. Those clear and lofty goals are undercut, however, by the Bank’s slowness thus far to confront economic realities that lesbian, gay, bisexual and transgender (LGBT) people, along with other marginalized and disfavored populations, face in a vast preponderance of countries around the world. In most of the world’s countries, LGBT populations are well within “the bottom 40%” that the World Bank wants to uplift. So are a disproportionate number of women. Yet still today the Bank has no “safeguard” – a World Bank term for a set of internal guiding regulations – requiring that sexual orientation, gender, and gender identity be considered when designing new programs, or when entertaining host government requests for new loans. The Bank, too, has devoted little attention to commissioning the research needed to document, with greater precision, how inattention to inequality only hampers the economic progress that governments should be seeking, and that citizen-funders of the Bank’s programs are right to expect. What little research has appeared on this topic, indeed, has been startling. For over two years, the Council has engaged alongside other civil society partners in efforts to urge that the World Bank adopt new safeguard language that would challenge governments to meet the needs of their full populations – male and female, lesbian and gay, transgender and queer. 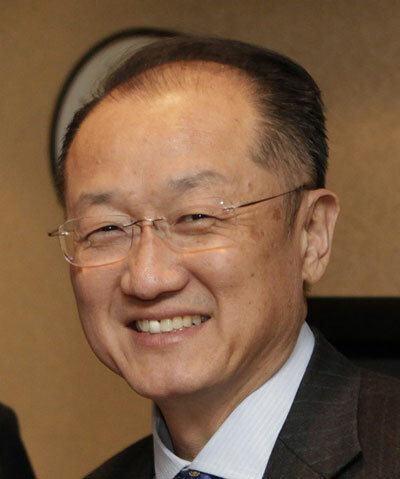 We’ve now written to World Bank President Kim to urge immediate action. We’ve been impressed with Dr. Kim’s personal leadership in speaking to the moral and economic imperatives of addressing LGBT and gender inequalities. We know that he and other Bank leaders understand that countries are only as strong as their economic empowerment, sound health policies, and social inclusiveness allow. So when World Bank officials hold important meetings in Lima October 9-11, will the Bank’s leadership fight for, and achieve, an overdue commitment to serve the needs of ALL populations, in line with the Bank’s professed mission? Dr. Kim’s personal convictions and leadership need to translate into concrete progress in reforming the Bank’s sterile inattention to that bottom 40%. We ask that the Bank make its programs relevant to the goals it has proclaimed by addressing – over national government objections if necessary – the economic discrimination that so many LGBT populations face.